Last week a senior risk manager asked me if the National Terrorism Threat Advisory System threat level was going to change. He had heard that it was to be escalated from Probable to Expected. The move, while yet to happen, appears more than justified given the recent arrests in Sydney and the deployment of temporary bollards in central Sydney and Melbourne. There is ample evidence of a terror threat, even if the exact type of threat is unclear. Until now, most indicators of a credible threat have involved individuals using knives, firearms and motor vehicles as weapons. This is based on what we have already seen in Australia as well as incidents that have occurred in the UK, France and other areas of the world. The threat to our airlines is somewhat surprising given the level of complexity involved in such an attack and goes against what we have seen up until now. Just this last week, our Prime Minister Malcom Turnbull shared that authorities have now stopped 12 planned attacks in Australia in the last three years. In his address to Parliament on June 13 this year, he also noted that there have been five attacks to date on Australian soil. While not recognised as a terrorist incident, the 20 January Bourke Street Mall tragedy certainly mimicked one. It was one of Australia’s worst mass casualty events since November 2011 and highlights the challenges our industry faces in protecting public spaces. But how should we be managing the terrorism risk in the urban environment? 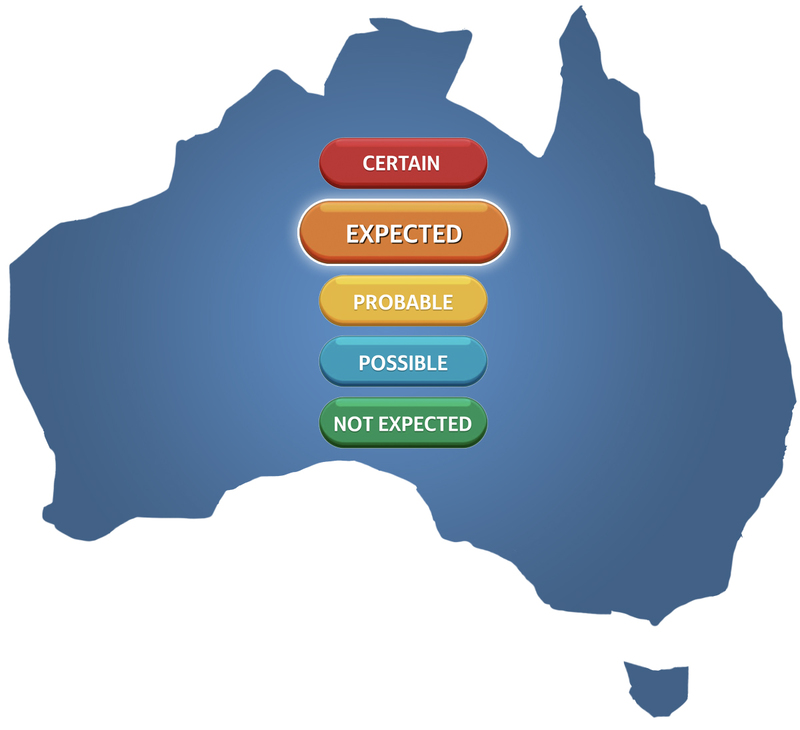 The National Terrorism Threat Advisory System set our threat level to Probable in November 2015. At the time, the federal government changed the alert system from four tiers to five. Probable is comparable to a High rating under the old system. Regardless of the current official rating, it is evident that some form of terrorism incident is expected. This is not a hysterical position, but a reasoned reflection that all indicators point to an intentional, mass casualty event occurring. As always, the question is where and when? This is not an isolated view. Many security industry peers and the senior executives we deal with each week expect some form of major terrorist incident in Australia. Many of our largest companies are already planning for the alert level to be raised or, worse still, an incident to occur. Any escalation in alert level will immediately affect Australia’s private security industry. Are we ready to deal with this? If it does happen, we’ll see an immediate increase in the need for security officers. But more of the same is not necessarily better, or particularly helpful in managing risk. What we will need is guards who know their roles, are trained observers, and can engage with people in a way that is both helpful and inquisitive. By this I mean that they need to be able to determine if people have a valid reason for accessing a property without coming across as intrusive or aggressive. What we will need is guards who know their roles, are trained observers, and can engage with people in a way that is both helpful and inquisitive. I’ve seen it done overseas with great effect. If there is any suspicion of malicious intent, the security guard directs the individual away from others. What we don’t need is guards who are disinterested, pass the time on their mobile phones and are left at their post for hours. We need to be smarter than that. But I can’t see that we are. Week after week, we conduct operational security reviews and consistently see the same issues. poorly documented processes and escalation paths. Australia’s level of security guard training is nowhere near appropriate to manage the terrorism risk. That is not to be critical of my own industry. I’m simply acknowledging that pushing for the cheapest price has repercussions. You can’t expect premium security without paying a premium price. You can’t expect premium security without paying a premium price. The other challenge is finding more guards. Where will they come from? Most crisis management plans that we review expect their providers to produce extra resources on demand. But if we wake up tomorrow to a terror attack or the federal government escalating the threat level, every major organisation in Australia could be implementing their plans at the same time. How does the industry cope with that? The top six security manpower providers account for more than half of all guards in this country. We do not have an infinite supply of good reliable people just waiting to be deployed around the country. It simply isn’t there. The first step is to accept that a terrorist attack on Australian soil is now expected. Any formal escalation within the National Terrorism Threat Advisory System should not influence the processes that big business should have in place by now. Collectively, we need to address every security shortcoming that can help prevent or minimise the impact of a serious incident occurring.